Training for risk internally could be a huge benefit for handling external risk. Businesses, much like military units, can mitigate many risks by knowing what they can handle. Train beyond your comfort zone so that your company is truly ready when an external risk occurs. 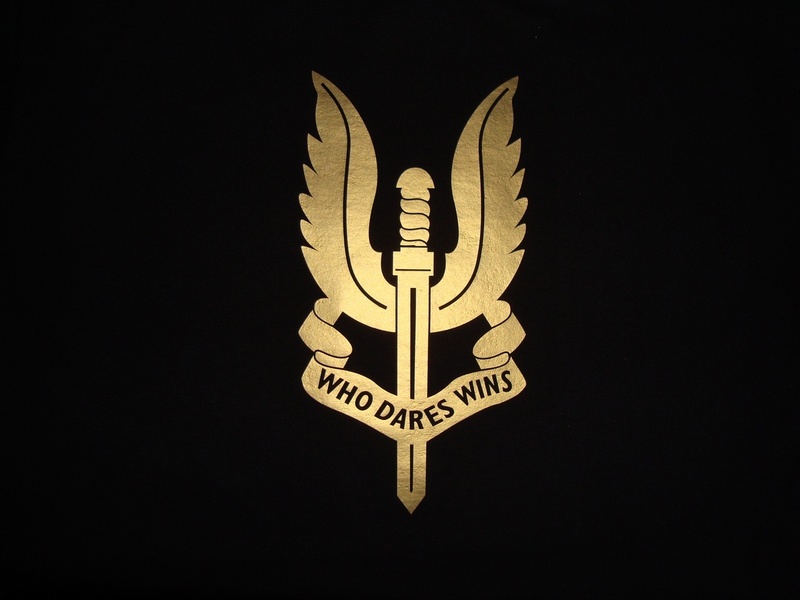 "Who Dares Wins." That’s the motto of the United Kingdom's Special Air Service (UK SAS), probably one of the world's best Special Operations Forces (SOF). The history of the UK SAS, founded during World War II, is one of daring and victory across the globe. The UK SAS are the leaders in hostage rescue, desert warfare, and jungle fighting, to name only a few areas of their vast military specialties. It is easy to see how a highly-trained group of commandos can view risk and risk taking seemingly with ease, but how can businesses take more risks and still succeed? The concept to take more business risk is a counter institutive principle to most organizations. There is a Risk Management industry as well as Risk Management departments within companies, which have the sole task of understanding, planning, and mitigating risk across the entire business enterprise. So how can taking more risk be good for business? When Apple created the iPod and iTunes, they took a great amount of business risk by launching a new device and entering an entirely new distribution channel for music. What allowed Apple to be so successful was built upon their internal strengths of great technology, simple design principles, and a strong customer focus. The introduction of the Apple iPod is a SOF-like adoption of the daring to win principles that SOF teams employ. Before SOF teams undertake high-risk operations, they slow the enthusiasm for a mission by conducting an emotionally-detached, honest, and intelligence-driven assessment of the mission. The SOF team fully explores the mission objectives and determines if they have the training, resources, and skills to accomplish the mission. One of the truly unique attributes of SOF mission planning is that personnel safety is a preeminent principle of a successful operation. Why? Because for SOF, highly skilled, dedicated, and experienced operators are the resource in shortest supply. You can easily get more helicopters, weapons and ammunition. Getting skilled crews to fly the helicopters and operate the weapons? That can take years. Finally, SOF mission planning lets intelligence and open discussion guide the final decision for a mission. If the intelligence does not provide the detail to achieve the outcome, then the mission is rarely approved. SOFs like the U.S. Army Special Forces (Green Beret), The U.S. Navy SEALS, the Air Force Para-Jumpers, and the U.S. Marine Corps Force Reconnaissance approach risk in two distinct segments: internal risk and external risk. Internal risk, how the organization trains and operates to complete its missions, is an area where there is an extensive risk mitigation process, just as there should be in business. Individuals are put through an extensive selection and training process to ensure they meet the unit standards. Military operations are extensively rehearsed to ensure their success on the battlefield. New technology is tested extensively without the rigors of combat to make sure it performs. Finally, potentially dangerous activities such as parachuting and underwater operations have rigorous standard operating procedures to ensure they are conducted as safely as possible. In SOF, extensive internal Risk Mitigation procedures allow greater external risk for daring operations. SOF units are employed for high-risk external operations, such as hostage rescue, but their internal risk mitigation practices of training, planning, intelligence operations and contingency plans actually make them less risky in execution. Examples of risky SOF operations for high reward include the raid on Osama Bin Laden and the use of Army Special Forces as the first military forces to invade Afghanistan shortly after 9/11. All of these operations contained very high external risk that was mitigated by the personnel, training, planning, and intelligence analysis that eventually meant the operation was successful. High risk and high reward operations are where military SOF creates the greatest impact to a successful military campaign. By using strong internal risk mitigation and risk management principles, it allows for greater success in externally risky operations. The internal and external risk frameworks apply equally well to business. The internal risk mitigation measures that most businesses have today fall into the categories of quality programs, personnel training, safety enforcement, manufacturing excellence, strong cost controls, and rigorous accounting standards. These help create organizations that can sustain and adapt to additional risk. Externally, a business with strong internal risk mitigation measures can look for greater opportunities that appear risky. Their internal risk controls actually mitigate much of the true risk to the enterprise. To help businesses undertake greater risk to win, three SOF risk techniques that can be applied to business in a simple, straightforward fashion. Train well beyond your comfort zone. SOF training is incredibly physically and mentally demanding. The goal of all SOF combat training is to make it as indistinguishable from combat as possible so people are as well prepared as possible to succeed when they enter combat. The SOF training starts with identifying and recruiting great people and then testing them under a rigorous selection process to ensure they succeed. Once the best have been recruited and selected, a series of training events bring them to the level of a honed and skilled SOF operator. Finally, personnel retention practices go hand-in-hand with training to ensure highly-trained SOF personnel do not leave. Identify, anticipate, and react early to events critical to your competitors’ success. In both business and the military, the classic question of "what will my competitor do?" confronts organizations at all times. In the military, Intelligence and Operational leaders create a "most likely" enemy operational plan of what they believe the enemy will do and then identify several critical and identifiable junctures in the estimated enemy plan. The identification of these critical "action" points in a competitor's plan then creates your own "action" points. When you see your competitor acting or about to act, you can implement a strategy to counter or mitigate the success of your competitors. Create contingency plans to solidify and exploit your success. Few businesses create plans and operational extensions to fully exploit their success. One of the worst failures for a business is to have a very successful product launch or a new service and not be able to effectively expand or maintain the high levels of service that brought the initial success. SOF teams have multiple, highly-elaborate contingency plans for all parts of a special operations mission, from infiltration to completing the mission objective to exfiltration from the mission area back to base. It is entirely possible to have a successful mission without exercising a contingency plan. During the final days of World War II, a U.S. Army Ranger Battalion, a skilled behind-the-lines commando force, was tasked with finding and rescuing Prisoners of War held in a Japanese camp. American commanders feared that the POW's would be moved or killed before they were reached by conventional American forces. The Rangers conducted rapid mission planning and then set out immediately to rescue the POWs. When the Rangers successfully seized the camp, they discovered far more POW's that had to be moved to safety. The Rangers had created some basic contingencies and through prior coordination with friendly Philippine guerilla fighters, used ox carts to move the POW's to safety. A contingency plan saved the day for the Rangers. Being as successful as possible in risky situations is an absolute must for military SOF and business organizations alike. How successful you are in a risky situation depends directly on how well you have trained your organization to mitigate internal risk so you can turn external risk into success and long-term opportunity. Business needs to use the success they have created by having a strong internal risk mitigation strategy to identify and seize external opportunities to grow their company and customer satisfaction. Chad Storlie is author of two books: "Combat Leader to Corporate Leader" and "Battlefield to Business Success." Both books teach how to translate and apply military skills to business. Chad is an adjunct Lecturer of Marketing at Creighton University and Bellevue University in Omaha, NE. Chad is a retired US Army Special Forces officer with 20-plus years of Active and Reserve service in infantry, Special Forces, and joint headquarters units. He served in Iraq, Bosnia, Korea, and throughout the United States. He was awarded the Bronze Star, the Combat Infantryman’s Badge, the Meritorious Service Medal, the Special Forces Tab, and the Ranger Tab. In addition to teaching, he is a mid-level marketing executive and has worked in marketing and sales roles for various companies, including General Electric, Comcast, and Manugistics. He has been published in The Harvard Business Review blog, Business Week Online, Christian Science Monitor, USA Today, and over 40 other publications. He has a BA from Northwestern University and an MBA from Georgetown University.